When it comes to Ladakh and in particular road trips, Manali – Leh Highway generally becomes priority for most travelers, with Srinagar – Leh Highway simply being a way to avoid covering the same route twice or a means to acclimatize gradually to high altitude of Ladakh. While it is true that Manali – Leh Highway is quite scenic and thanks to high altitude and bad roads, challenging as well. 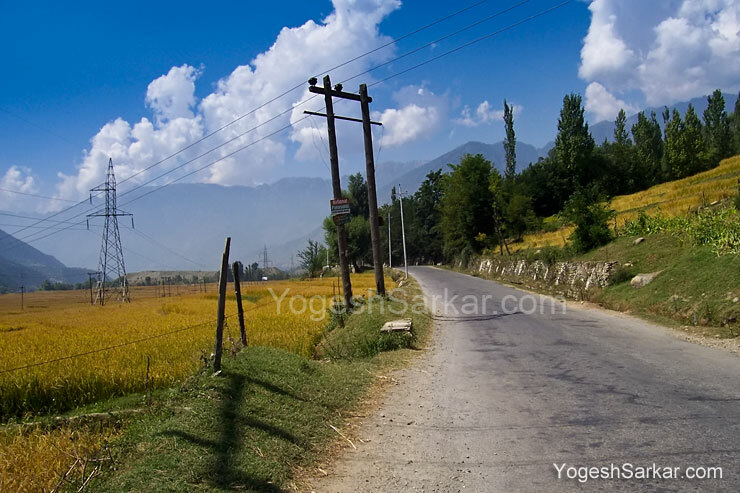 Srinagar – Leh Highway has its own charm, which I feel, at times, surpasses that of Manali – Leh Highway. 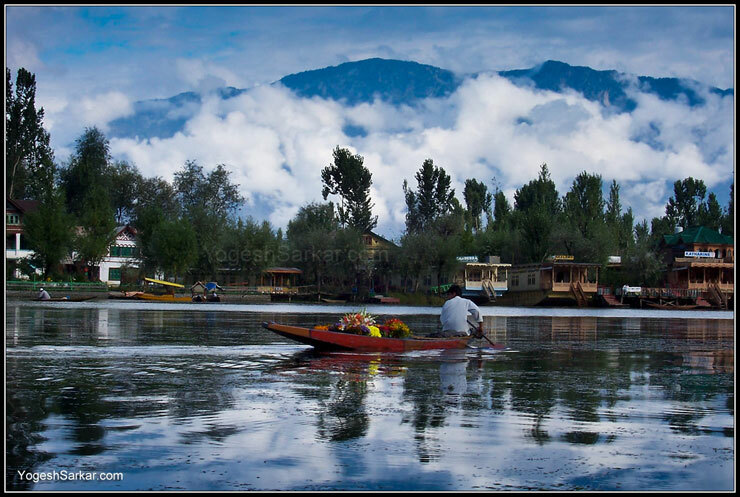 For starters, you get to enjoy shikara ride in the beautiful Dal Lake of Srinagar, which has its own charm and serenity, especially if done in the morning. Then the drive/ride itself from Srinagar to Sonamarg through Kashmir Valley is breathtaking to say the least, irrespective of the season you travel in. Then as you make your way through the beautiful Kashmir Valley to Sonamarg and beyond, and start your climb to the Zoji La, landscape begins to change drastically and suddenly the smooth roads gives way to deep gorges and a dirt track, which has the potential of becoming treacherous in rain. Beyond Zoji La, a scenic drive to Drass, the second coldest inhabited place in the world and stage for 1999 Kargil War with Pakistan, is exhilarating and a preview of what is in store for you ahead. 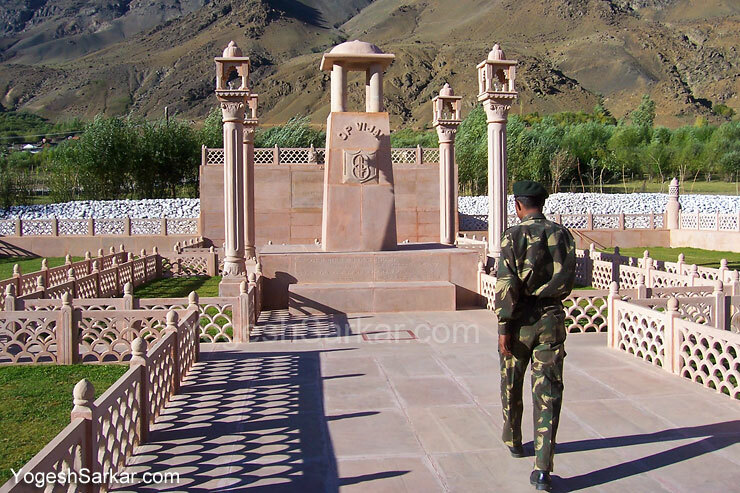 Of course visiting a place like Drass is sure to invoke memory of 1999 Kargil War, a memorial dedicated to it is located 5km ahead of Drass, on the Srinagar – Leh Highway. 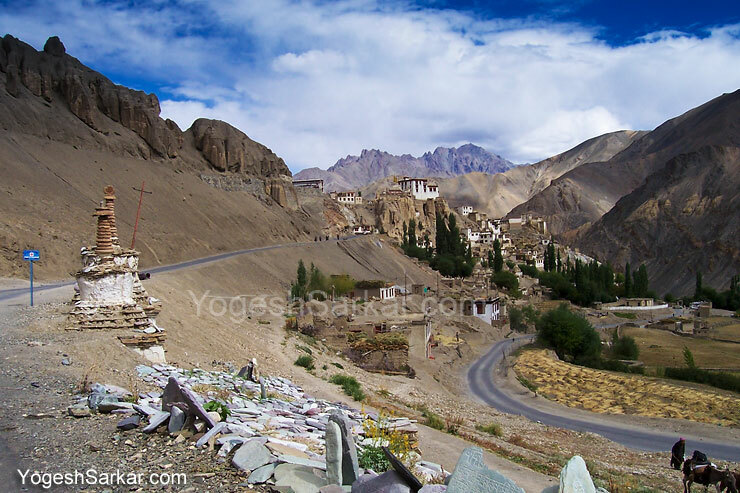 Beyond Drass, smooth wide roads and fantastic scenery keeps you company till Lamayuru Monastery, which is nestled in a beautiful and colorful valley, in stark contrast to the deep blue sky of Ladakh. Beyond Lamayuru Monastery, such beautiful scenery is what you will find on almost every nook and corner of the magnificent highway, till you reach the outskirts of Leh. Srinagar – Leh Highway, view between Lamayuru and Leh. 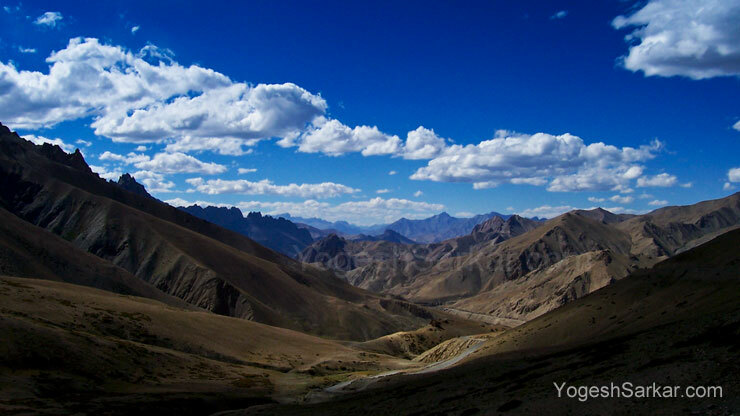 En route to Leh, you also have the choice of detouring to the wonderful monasteries of Likir, Alchi and Basgo and pay your homage at Gurudwara Pathar Sahib (along the highway) and witness the wonder of Magnetic Hills and the beauty of Indus and Zanskar Confluence. And if that isn’t reason enough for you, then have a look at the race track at your disposal! BRO is also working to make Srinagar – Leh Highway a proper 4 lane highway, which ought to make traveling on the beautiful road, even more fun. However, at the end of the day, it is the unparalleled beauty and sheer diversity of Srinagar – Leh Highway, which makes it oh so wonderful and well worth the effort. beautifully narrated – Yogesh, Your write up took me back there – except that I did it in the opposite direction. Thank you sir. I too have always done Leh – Srinagar, mainly because I always felt my motorcycle would be able to do Leh – Srinagar route, no matter how much beating it takes while in Ladakh. Having said that, I will now likely do it from Srinagar side. Well crafted and your brevity is commendable Yogesh! What worries me is the looooong damn straight boring road till udhampur, rest is ridding in heaven. Ajay, you can always take state highways in Punjab, from Chandigarh to Hoshiarpur and from there to Pathankot, without touching NH-1. Alternatively if you have an extra day, you can take Shimla to Mandi route and from there, road to Dharamshala and Pathankot. 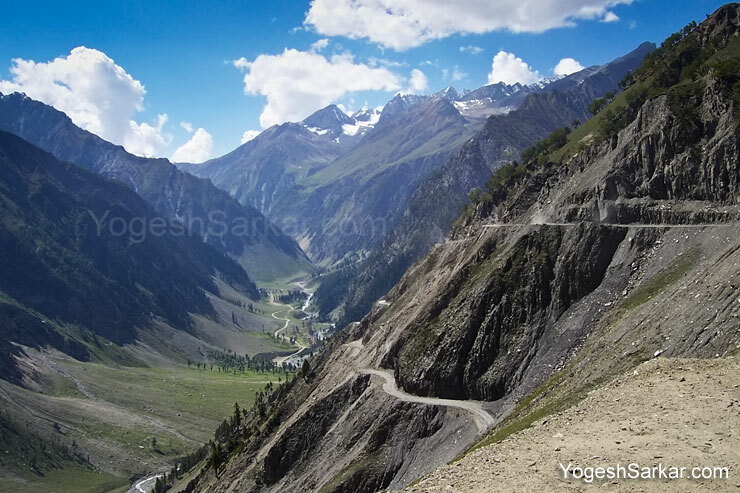 First route I have done, while coming back from Ladakh in 2006 and it is superb, with lovely views. Wonderful! Helpful suggestions. I have been on Manali to rohatang pass road and that was very bad…it’s scary! I guess, Manali to Leh is a very common route – it’s scenic, I hope it’s safe, too. Btw road to Rohtang Jot has also been fixed in the past couple of months, so it is no longer an issue as long as you are going to Rohtang from Manali. Beyond that, it can be a bit scary, but mostly alright. magical road trip….my brother has done delhi to leh (and a little beyond) twice on bike and he recommends this road trip highly!! I went to leh in year 2010 via Srinagar route in June and due bad weather conditions came via Srinagar route itself. 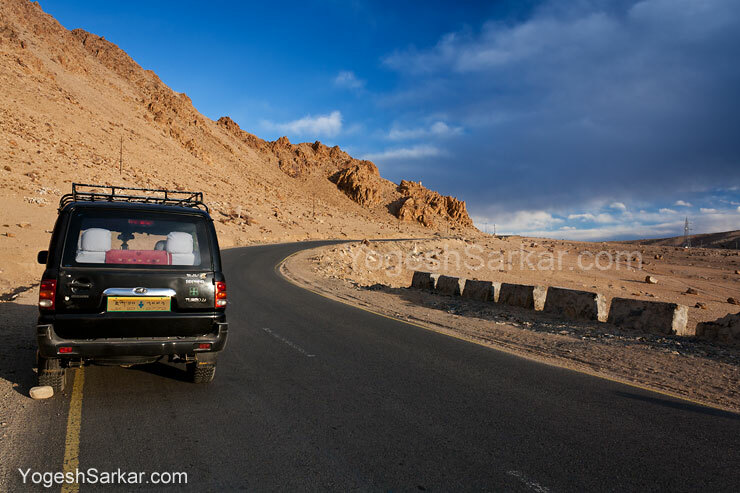 Frankly speaking I found Srinagar route more fun than Manali – leh highway. In a way yes. Manali route becomes more of a challenge and an effort, especially when you are doing it en route to Ladakh.